This posting may have better news on the ivory crisis. Hope so. Many never thought they’d see the day come, but it finally has – China, one of the world’s largest importers of ivory, has announced, that it, along with 29 other nations, will help protect the world’s elephants by criminalizing poaching. A Space For Giants newsletter of December rejoices in the growing tide of goodwill and scale of responses to the elephant/ivory story. 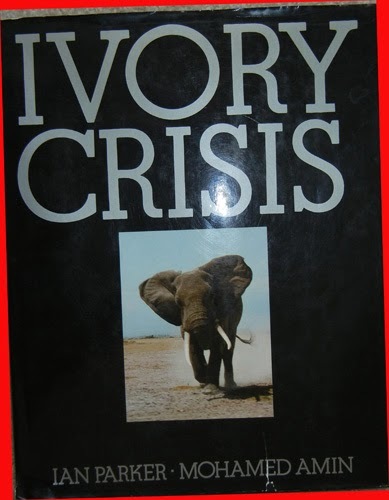 Three days ago I posted on a small part of the ugly mess of the current ivory crisis (not the first) as this 1983 book title indicates. For good reviews of this very long-standing issue get hold of either this book by Ian Parker and the late Mohamend Amin or Ian Parker’s more recent What I Tell You Three Times is True. The latter is a really in-depth examination of the subject. There has been a considerable amount of social media traffic on many aspects of it. I have picked up some thirty postings in the last month alone. Like the two I opened with about half of them take a slightly different and hopefully more optimistic view of the situation, many of them reporting seizures of ivory, either as raw tusks or worked items. Others deal with criminal trials. In South Africa, where rhino poaching is a major concern, they are preparing for the elephant war with publicity. This video is well worth the watching. Indeed if you have time for nothing else do spend the ten minutes with it. that includes drones, infra-red cameras, tagging with GPS, and the latest software. There have been recent reports from other African countries such as Gabon, Kenya, Republic of Congo (2 reports) and Mozambique. Tanzania has a real battle on its hands, as indicated by the actions that have recently been taken. They include ivory seizures in Zanzibar and Dar esSalaam The dismissal of many allegedly corrupt wildlife department staff and several other columns in the on-line allAfrica news that include a call to deal with the so-called Poaching Barons as well as a call for tougher poaching laws. In that Jan 7 post I mentioned that a new law, if signed by President Uhuru Kenyatta, will make it possible to punish poachers with life sentences. A remarkable public admission was made on Jan 3 by a former employee of the Lewa Conservancy. Keleshi Parkusaa, 39, said he has been a poacher even when he was employed there for three years. He obviously admitted his crimes before the law comes into effect in order to avoid that sentence. Other countries that have taken action are France where 3 tonnes of ivory are to be burned. This picture by Reuters/Keith Bedford shows some of the items. Also Vietnam, where a court has sentenced a company director and his deputy to 3 years in jail each for smuggling 158 pieces of ivory tusks weighing more than 2.4 tons. And the USA where a New York City antiques dealer who pleaded guilty to conspiracy for smuggling artifacts made from rhinoceros horns from the U.S. to China and Hong Kong has been sentenced to three years in prison, plus three years’ supervised release. The key, as everyone realizes, is China. Basket ball star Yao Ming has been actively campaigning about conservation issues for quite some time and his efforts to publicize the shark’s fin soup issue has yielded encouraging results. He has been similarly active on the ivory front and his and other peoples efforts may be changing the way that folks in China think about these issues. This anti-elephant poaching story filed from Kenya and Mozambique by Yuan Duanduan titled The Blood Ivory: Behind the Largest Ivory Smuggling Cases in China has gone viral. China has become the largest illegal ivory consumer market in the world, but 2 /3 of the Chinese people do not know ivory is obtained through killing the elephant. The ivory trade has become a source of capital for African terrorist groups, forming a tight secretive network of poachers, small and big middlemen. In recent news on November 5, 2013, Xiamen Customs announced the largest ivory smuggling cases uncovered in recent years, two cases of which ivory added up to 11.88 tons, worth 603 million yuan. If it hadn’t been seized, the ivory from Africa would have infiltrated China ‘s secretive “black market”, to be eventually sold into private collections. "The article was reposted on 24 online discussion forums or Bulletin Board Systems (BBS) including Mop and Tianya, two of the most popular in China. Thousands of comments were generated on the Tianya BBS forum alone. Overall over 5,000 comments on the article were posted on Weibo, BBS fora, and other websites." 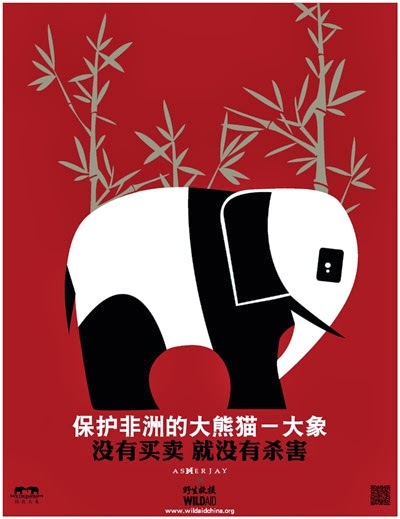 A very clever ploy was to merge the image of China’s iconic panda with the shape of an elephant. This poster, courtesy of WildAid reads: Protect the pandas of Africa - elephants. When the buying stops the killing can too. I fear that only very cautious optimism should be felt. 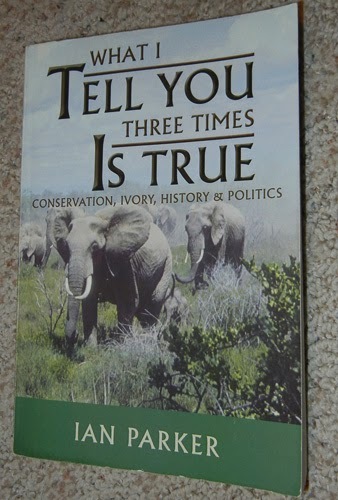 One of the several concerned groups Elephant Advocacy had these thoughts about the ivory crush. While it's encouraging to see China, the world's key consumer of ivory, taking such a step, there would be even more grounds for celebration if it didn't attempt to isolate 'illegal' ivory as the problem while actively promoting a deeply flawed parallel trade in 'legal' ivory which serves to confuse consumers, boost demand and provide a laundering mechanism for illegal ivory. It's difficult, too, to see beyond today's event as a PR exercise when considering that the 6.2 tonnes of ivory crushed represents a small fraction of what we know has been seized in China. One of the problems is that nobody really knows the real number s of elephants in Africa. 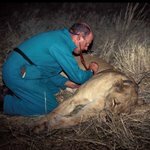 CITES reports probably give the most reliable figures, but even they are inevitably fraught with estimates and inaccuracies. The news that Paul Allen, the Microsoft billionaire has announced that he will fund a pan-African survey is a huge step in the right direction. The will aim to calculate how many actually remain, where they are found, what threats they face and whether their total population numbers are in fact increasing or decreasing. Thank you for this post, Jerry. I always enjoy reading even when the news is distressing - thankful that distress can finally culminate in positive responses. I agree Jane, but I must say that China's very long history of ivory use makes me nervous. Lip service is one thig. Real action another. Fingers crossed.